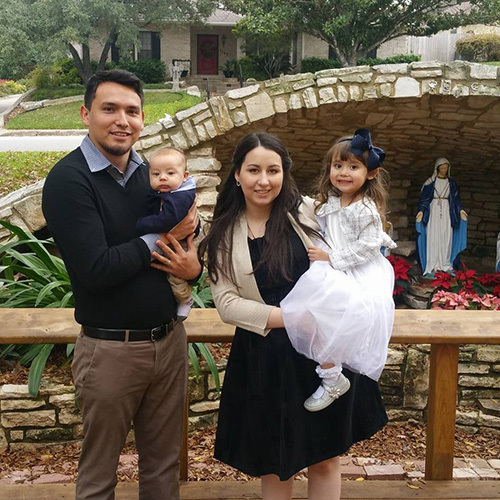 My name is Rhoni Perez and on top of being a full-time wife and mother, I am a Birth and Postpartum Doula and Go Diaper Free Coach in the San Antonio and surrounding areas. I first discovered Elimination Communication in 2013 when my 9 months old just refused to go any longer in her diapers. We instantly fell in love with it! After we started she was completely out of diapers and fully potty trained by 18 months. We had another go around in 2015 when our first son was born and we did EC part time since birth with him. He was also potty training at about 18 months. Our third little will be born this March 2018 and we are planning on full time from birth with him and just can’t wait! Elimination Communication has been such an overall eye-opening amazing experience for our family and I would love to share my knowledge and experience with you and your family as you go through this unique time in your lives. Click here for San Antonio’s local Facebook Group. I first learned about EC back in 2013 when my then 9 month old refused to go in her diaper. Once I learned about it I loved the idea of this natural alternative to traditional diaper/pottying and immediately jumped all in! To be able to give others the support and guidance here in town that was so very hard for me to find when I first started. By far the potette potty plus, I keep ours in the van for easy pottyunities when getting my kiddos in and our of the car. And of course, I can just fold it up and throw it in my diaper bag when I need it out and about! Go for it! You don’t need to do it full time or buy any fancy gear to start out. You can use what you have and try just upon waking, during diaper changes, or just when you’re home for some part time EC. You have nothing to lose and gain so much. You’ve got this!